3/3 2 story Duplex. This property features a new roof and long standing tenants. It includes 3 parking spaces and 2 access doors for each unit. The property has maintenance free vinyl siding. Both electrical panels have received a service upgrade. Great opportunity for an owner occupant or investor looking to add to their portfolio. Property has a potential to collect $700 dollars a month in rent. It's located near Historic Mitchell street and the many shops and restaurants nearby. Set up your personal showing today! Allow 24 hr notice for all showings, tenant occupied. MLS rules only allow us to show this information to registered users. Please sign in or register to view the price history. This Multi-Family home for sale is currently listed for $99,000. Located in Milwaukee, WI, 1209 W Rogers St #1211 features a lot size of 2,613 Sq. Ft. and was built in 1909. It has been on Coldwell Banker for 105 days. This listing is provided courtesy of COLDWELL BANKER RESIDENTIAL BROKERAGE. Looking for more homes for sale near this one? 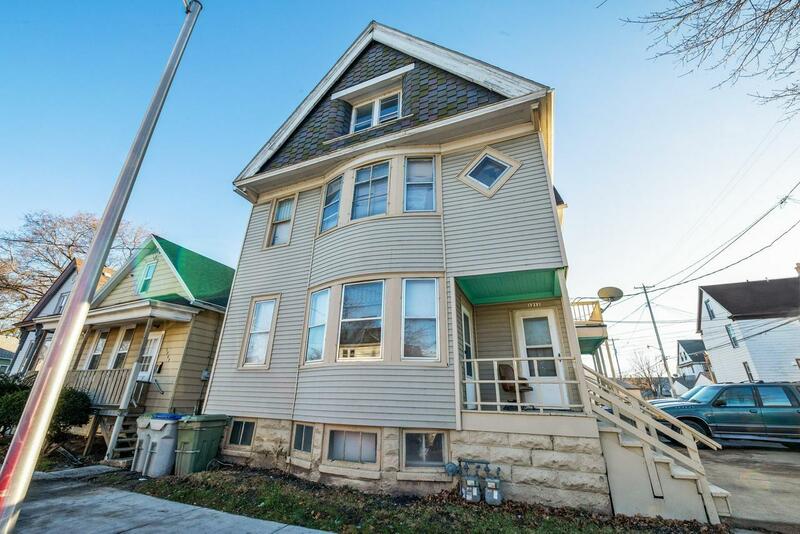 View all Milwaukee, WI homes and connect with local real estate agents. Website provided and owned by Coldwell Banker Residential Brokerage - Chicago.